When I click on a link to an email address in Firefox or Google Chrome a "Welcome to Evolution" screen appears. Can I make Gmail open instead, or at the very least disable Evolution from running? Then go to "Applications > Internet > Desktop Webmail" and set your web email service. 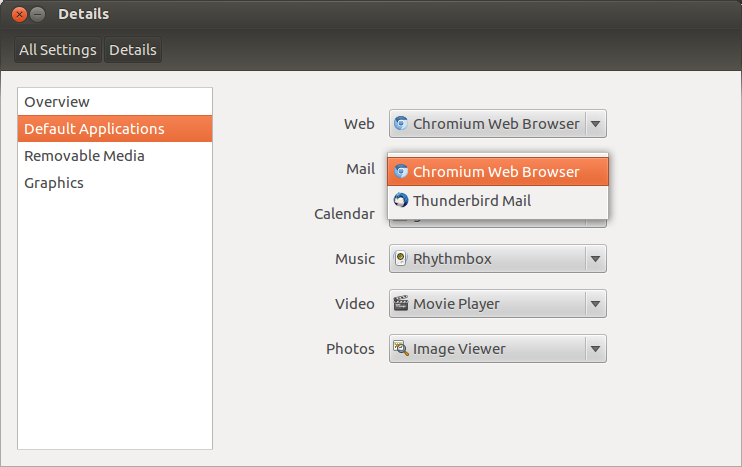 Finally go to "System > Preferences > Preferred Applications" and under "Mail Reader" set Desktop Webmail as your choice. This could be a solution for other people as well that use other webmail providers. It has worked so well that I forgot I even had to write it until this question was asked. Select "mailto" in the "Content Type" list. Select "Use Gmail" in the Action list. If you are using Chrome, the Better Gmail extension will handle mailto links. It also tweaks a few other things about Gmail, but you can turn the rest off on the options page if you like. GNOME Gmail will set itself as the preferred application, and also supports attachments (Send File... in Nautilus or LibreOffice). Install the gnome-gmail package. 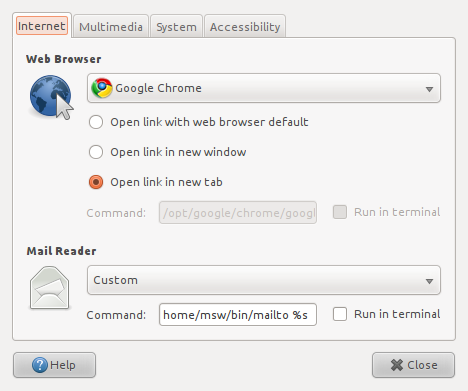 Firefox 3 will ask permission to add Gmail as default mailto handler. Click the Add Application button, as shown. 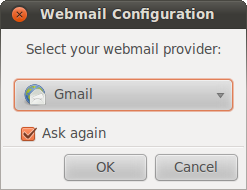 Desktop Webmail (package desktop-webmail in the default repositories) should solve the problem. An easy way to do this is to edit your mimeapps.list to make your preferred browser your default email client, then setting up your browser to use your preferred webmail service as the default handler for mailto: links. Here's how I did it, using Inbox by Gmail as my webmail service and Chrome as my default browser. Then in Chrome > Settings > Content Settings > Handlers I selected Inbox as my default email handler. This works very smoothly even for links from my desktop apps, though it unfortunately doesn't handle attachments. Not the answer you're looking for? Browse other questions tagged firefox evolution email google-chrome gmail or ask your own question. How can I make a webmail be my default email client? Changing email application in Preferred Applications to GMail? How to make Gmail open when clicking mailto: links in the same browser it is clicked? How delete Gmail account from Evolution?